The Invaders - A Quinn Martin Production. Starring Roy Thinnes as architect David Vincent. The Invaders - Alien beings from a dying planet. Their destination - The Earth. Their purpose - To make it their world. David Vincent has seen them - For him it began one lost night on a lonely country road, looking for a short-cut that he never found. It began with a closed deserted diner...and a man too long without sleep to continue his journey. It began with the landing of a craft from another galaxy. Now, David Vincent knows the Invaders are here, that they have taken human form. Somehow he must convince a disbelieving world that the nightmare has already begun. 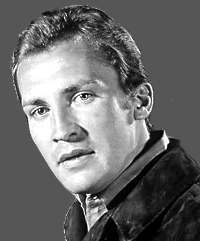 Roy Thinnes proved to be the perfect leading man for this late Sixties sci-fi series that has grown in stature since its untimely demise in March 1968. His good versus evil battle was played out in forty-three episodes but without a conclusion, when the series ended abruptly as low rating figures convinced ABC to axe the show. However, the series was the first of its kind to deal with alien invasion and acted as the forerunner of future tv series such as V, War of the Worlds and The X-Files (in which Roy Thinnes guested). Initially, no-one believed Thinnes' character, David Vincent, of the existence of aliens from another planet who masked themselves in human form and were virtually undetectable (apart from their crooked fourth finger, lack of a pulse and emotion and their incineration upon death), until he meets 'The Believers' headed by industrialist Edgar Scoville (Kent Smith), who too are aware of the aliens and enlist his help to expose and destroy them. Vincent's efforts to obtain evidence of the alien's existence invariably ended in failure or would incite the aliens to attempt to silence him forever. It's classic sci-fi from the Sixties with entertaining though predictable storylines mixed in with a few cheesy plots that has developed a cult following in later years. Thinnes played a sympathetic hero, though single-minded and intense in his one-man crusade to unmask the evil aliens to a disbelieving public and the authorities. The series enjoyed special guest appearances from some top names at the time including Roddy McDowall, Jack Lord, Gene Hackman and the gorgeous Suzanne Pleshette, my personal favourite. 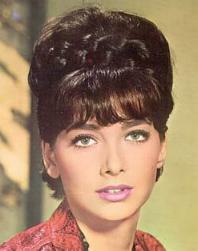 Pleshette, much in-demand for film and tv roles including teacher Annie Hayworth in Alfred Hitchcock's The Birds in 1963, played an alien-stripper Vikki in the fourth episode, The Mutation and Anne Gibbs in the penultimate episode, the Pursued. The series creator was Larry Cohen and Dominic Frontiere composed the haunting theme music. The Invaders is re-played on British television from time to time - make sure you catch it next time around.